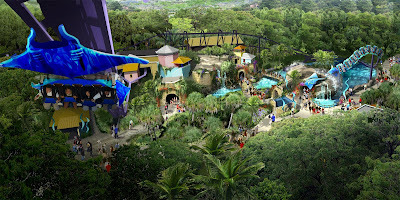 There is something new that is happening at Sea World Orlando this coming May 22, 2009. It is the much awaited opening of Manta, the only flying roller coaster of its kind in the world. How would you and 31 other riders like to experience being under the ocean having a thrill ride on a manta ray, lying prone and face down at highway speeds? Other than a thrilling ride, you will get a 360-degree view of the underworld seeing all kinds of tropical fishes, sea dragons and thousands of creatures all around you. What will you do to be able to get on the front line and to experience the flying ray? Sea World Orlando is having a contest where you can win a “Front-of-the-line” pass to the Manta. To join, go to http://www.ridemanta.com and click “participate and win.” There are six activities that you can participate and win the contest. You must have an account to join (which is free) or if you have a twitter account, you use that to log on. On twitter, you have to follow @RealShamu to get inside tips on the Manta quiz but all the answers on the quiz are found on the Website. There are five manta questions and you have to answer them correctly. Be careful because you only have three chances to do it. When completed, you get an email from RideTheFlyingRay. Or, if you can take a picture showing your love for Manta by displaying “I Heart Manta”, upload your photo to Flickr. Submit your flickr user image URL and flickr user name to ridetheflyingray.com. Now if you and your friends would like to join, you can do that by joining the contest “Fill That Row.” Pick three friends and email them the referral code generated and let them sign up too and fill your row using the referral code. When your row is complete you get an email from RideTheFlyingRay. If you are fond of YouTube, you can upload a short video of yourself showing how excited you to ride the Manta. Enter the URL and title of your video. You can also download the Manta Mask from the Website and after following all the instructions, get a picture of yourself wearing it then upload it to Flickr then submit your Flickr image URL and user name. For twitter users, follow @RealShamu and “tweet” in 140 characters or less why you are excited about the Manta. Make sure to follow the mandatory rules for your message to get qualified. If you completed two of the Manta site activities, you will get one complimentary electronic photograph from your Manta ride experience. But, if you complete all the six activities, you earn the Manta “Front-of-the-line pass" and be on the first to experience the Manta. Do not miss this opportunity and be the first one to tell about her unforgettable experience Flying Manta at SeaWorld Orlando. I got all these awards from Tita Beng. I just want to call her tita pero baka mas matanda pa ako sa kanya. Super daming awards, tatlo kaagad. I'm flattered but these awards have to be shared to all my online friends. You are all part of "My Careless Whispers" and you are more than deserving to get these awards too. Feel free to grab one, two or all. See you around. Are you still shopping for mothers day gifts? Here is a nice gift idea for your mom. Get her a photofiddle masterpiece by uploading her photo at photofiddle.com and create an artwork. A simple photo of your mom can be transformed into a beautiful masterpiece using the different photo art styles. Her canvas or art print is a perfect gift on her special day. Here is a good deal from Photofiddle in celebration of mother’s day. They are giving away $10 gift certificate which can be claimed by simply emailing mom@photofiddle.com before May 4th. Hurry, sign up now and avail of this good offer. If you want to get more updates, discounts and contests, photofiddle is also on twitter, facebook or send them an email. Our original plan was to go to Woodbury Outlet in Harriman, NY. We live around 30-40 minutes from there. It was 11:30 am when we left the house and we are all starving. I spent the morning eliminating what clothes will go to the drop box for donation and what to keep while hubby went to play tennis. We had four huge garbage bags full of clothes and shoes, mostly my daughter’s. We dropped this off before we proceed with our trip. 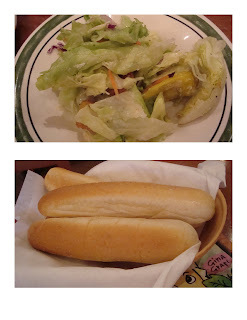 My husband was craving for chicken parm so we went to Olive Garden in Mahwah, NJ. It is not out of the way to the outlet store. At this time, the weather was already in the 90’s. After we got full, laziness struck us, we felt like we don’t want to be walking on this very hot weather so we all decided to go home instead, just be in an air conditioned environment the whole afternoon. When we got home, I did not realize I have a missed call and a message at the machine. It was from Isabella’s classmate (mom) whom we promised to have a play date at the park. Her daughter is so eager to play with my daughter. I called her, and she said can we meet at the park in 30 minutes? “we’ll just let the kids play for a little while because it’s HOT! I said yes because I don't know how to decline the invitation. Her little girl already cried last Friday because my daughter cannot make it since I have to go back to work. Do you think kids will surrender to a hot weather when they are at the park! Nope, we were there for almost 2 hours!!! Thank goodness, we ran out of water and that’s the only time the kids agreed to go home. My daughter was red and sweating! We’re home 5pm. She was in bed by 6pm, woke up 7am this morning! Back to OG, this is one of my favorite restaurants. I love their pastas and the calamari too. Some pictures i took during lunch. The garden salad and bread are the best. We had seconds of the salad. I love it. 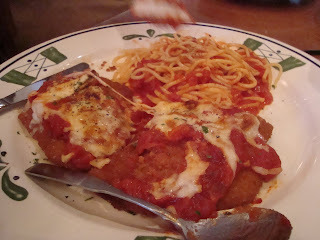 Hubby’s chicken parmigiana – fried breaded chicken breast topped with marinara sauce and mozzarella cheese with pasta on the side. 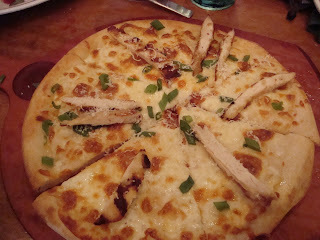 I had chicken alfredo pizza – We never miss this every time we go to OG. It is delicious, even on the next day. I shared this with the daughter. Actually with the garden salad alone you get full so we always end up with a doggie bag. I have an Ipod that has hundreds of my favorite songs on it. I have been using our desktop to sync it to itunes from the time I bought it but now since I have a new laptop, will it delete all my songs if I sync it on the laptop? I don’t want to lose all my songs. And, what will happen to the pictures also? Please, anybody? I feel so blessed for having experienced bearing a child. I know I started a bit late but to have one is already fulfilling for me. I have learned the meaning of the words selfless and unconditional when I become a mother to my daughter. Nothing in return; just let me be your mom. At one point, my doctor has talked to me if I have intentions of having another baby. He said that a lot of women still having babies even beyond forty but I am scared of that. I don’t want my baby’s health to be compromised. Now that I have one, the focus will be more on her future health. One of the best ways to prepare for your baby’s health is through Cryo-Cell U-Cord service. Through Cryo-Cell Blood Bank, your newborn umbilical cord blood stem cells are cryo preserved for future medical use of your child or family. As much as possible we do not want our child to get sick but we have to be prepared at all times and stem cells. Only your child’s own stem cells are his or her own perfect match. For a very limited time, Cryo Cell is having a special offer for new and existing clients that ranges from $100 to $300 off retail price value plus a baby bjorn if you enroll by 04/19/2009. Visit cryo-cell.com to get your discounts. Hurry, this offer expires on Sunday at midnight. Finally I was able to buy the laptop I wanted. I just want a small one (this is 14.1) and light (only 5.1 lbs.). It has 4 GB and 250 hard drive space. It like the bronze color and it is shiny. This is the second laptop I bought. I still remember the first one, it was a compaq with 6 gigs, bought around 10 years ago for around a thousand bucks!!!. It was one of the best at that time. I never had a problem with the old, actually it is still in good condition but too slow now. I'm wondering how i managed the old one with no dsl or fast cable before. I replaced with a Sony Vaio in 2004. I bought the top of the line deskstop with flat screen and it can still compete with the desktop available in the market today. Now hubby and daughter can share the deskstop while mommy has the laptop for herself. The school is almost over. Last Friday, the teachers had a short talk with the parents regarding the kid’s commencement exercises this coming June. They also showed us the fancy dress that they need for the presentation pre-k students are preparing. It has been agreed upon that they will just order online all the costumes for the kids. This graduation is the last time that all of them will be together. Although all students live at the same town, not everybody is going to the same school for kindergarten. There are three schools in my town that offers kindergarten and the kids will be assigned to the school based on where you live. My daughter will be transferring to the school closer to our house together with almost half of her classmates. This will be another adjustment for her being full day in school this time but I am happy that she will still be with some of her friends from the other school. I left work early today. I was already home by 11 am. I took advantage of the beautiful weather. My car registered it at 70 degrees while driving home. My daughter was so happy to see mommy so early. Right away she put on her crocs and asked me to go outside. She played bubbles and rode her bike until papa came from tennis. Around 2pm, we went to pollo locco to eat then proceed to costco. Oh boy, we were able to buy ripe mangoes, like the mangoes we have in the philippines. They were so ssweeet! There were 6 in a pack for $5.99. All gone now and we are going back tomorrow to buy more. I forgot to take a picture before they all disappeared kaya kwento nalang. We got home around 6pm just in time to watch Saksi, all about the Failon case. This is a vey sad story. My condolences to the Failon family. This April is my anniversary month at my job. If I remember it correctly I think I started on the 22nd of April. I do not know what is in store for me on my anniversary. Since I started seven years ago at this job, I have heard a lot of stories but nothing really scary. I specifically said scary because we have one of the oldest offices in the industrial zone. I have experienced being alone at the office for several hours at night but I am more scared of the living than anybody else. As long as the wireless security system is on and I am inside the building, there is nothing to be afraid of. Our wireless security system is newly installed by Protect America. Although our building is quite old, our security system is a state of the art. I think my boss got the Gold Package to cover all the entry points at the office and warehouse, plus a talking control panel, a backup battery if we lose power and a lot more. There are several sensors installed inside and outside the building plus the 24/7 alarm monitoring service. The one who is in charge with security always make sure he enters the code correctly although he has faulted several times but he was able to cancel the alarm before the cops came. There are several home or small business security package being offered by Protect America. If you are interested for your home or office, you can visit them at protect America.com to get a free security quote or have a live chat with customer service or call this toll free number 877-470-2751 and you get two keychain remotes with your order. I took this picture of ostrich eggs being sold at whole foods. First time to see their eggs and being as huge as they are, their price is also huge - it's $39.99 each!!! When I took this photo about two weeks ago, I said to myself, this will be my post for easter and that was supposed to be yesterday, right? Better late than later. Back to the eggs, I have no clue how this is being used, anybody? Boiled egg perhaps? I believe they are from jersey if I am not mistaken with what I read on the tag. It says local too. Hope everybody had a nice Easter! How was your Easter? It was a busy day yesterday for my daughter. We all woke up very early. My husband has a tennis game at 9 a.m. and he only eats a power bar before a game so after he left me and the daughter decided to find a place for bagel. Almost all the shops were closed except for mc Donald’s. We decided to eat our breakfast there and when she saw the play land my daughter begged if she could play a little bit. It was almost noon when we got home. We just waited for her dad before we grab something to eat for lunch. I thought we will still have our nap time before we go for an Easter dinner at my in laws. When my daughter saw the Easter basket I have been hiding from her, she right away opened it and checked all the goodies she had. We forgot about nap time anymore. She started decorating her chocolate Easter egg while I bake some chocolate chip cookies that we have to bring last night. She also got a cd containing 150 Fun Songs For Kids that my husband bought for her. Now, you can guess what was playing inside the car on our way to dinner, right? It was a good Easter dinner seeing some relatives at the party. Our night ended pretty late but we had fun. I am the only one who has to work today; they are all home for spring break. Sigh. I got my first award from meryl. The you so much meryl. She is a new friend in the blogging world who blogs about places, people, events, good food and a lot more. 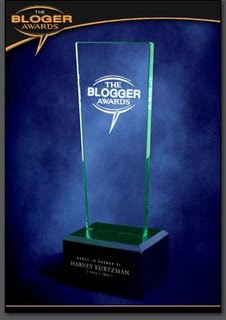 Everybody deserves this award and i do not want to miss any names. Just feel free to grab it. Congratulations! 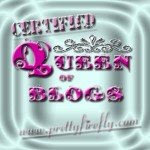 When I started blogging, I registered with blog sites offering free services. Having my own web page made me discover the world of Internet in a different point of view. I was able to have my home. I thought that was my permanent home until I decided to get my own domain. This one is more permanent than using the free service sites. It was not easy to pick the right hosting site for you. I did the research by myself through webhostinggeeks.com. There are hundreds of web hosting services but through the reviews, ratings and rankings by web hosting geeks you are able to identify which is suitable for your needs. Whether you are only looking for a web hosting for a single domain or multiple domain hosting, they have all the information for you. Before you finally decide to purchase your own domain, read the web hosting reviews which are based on actual experiences of webmasters which sometimes can make a difference in making a decision. A Website which would be solely for online business has different features needed than one that is merely for blogging or personal use. Go through all the different features and services offered by web hosting hosts and get the best one for you or your business. We woke up today with a 33 degree cold. This is almost freezing. Actually, today we got a mixture of winter in spring. When I was picking up my daughter around 11am, it was snowing, very cold and windy. We already put away our winter stuffs so this morning I have to dig in for some boots and thick jackets. I thought we already bid goodbye to winter but winter does not want to leave. When my husband decided to change our old television to HDTV, I was really amazed of the difference in the picture, clarity and sound of a digital TV. The pictures are clearer that you can even see the lines on a person’s face which are not visible on regular TV’s. As much I we wanted to change our bedroom TV too, we put it on hold for now as we are trying to sort our household expenses for this year. There was a flyer on our mail today about Charter Communication’s HDTV-A-Day Sweepstakes for new and upgrading customers. Charter is giving away 30 daily prizes of 22” Samsung HDTV and a grand prize package consisting of one 52” LCD flat screen HDTV, a home theater system plus one year of free Charter digital cable service with HD programming for 12 months. To join this contest is so easy. All you have to do is sign up for Charter services this month of April or just register your name online with no purchase necessary. They have awesome April deals and bundle offers on their cable, internet and phone services. By signing up online, customers will be saving money plus the chance to win the fabulous prizes. After I read the flyer I started convincing my husband that we switch to Charter since we are not under contract with our cable company anymore. Who knows we could be one lucky winner of the HDTV saving the money we are putting aside for another digital TV in the bedroom, right? I believe in my convincing power. I am pretty sure we will be switching to Charter before the month is over. "The server that does the complicated work has not responded in time, this could be due to load, due to an upgrade happening, or something even weirder. An alert should have been triggered to the admins so they're no doubt trying to deal with it right now, we recommend trying again in 10 minutes." I cannot wait for another 10. It's 11pm here right now and I am dead tired from today's outdoor activities. See you in the morning folks. Night. My friend at work who is a first mom is so shopaholic of Childrens Clothing since she had her baby. You always see her shopping online during lunch breaks and checking what is on sale. She is the one who introduced me to a children’s boutique called Atterdag Kids, which is located in Solvang, California. 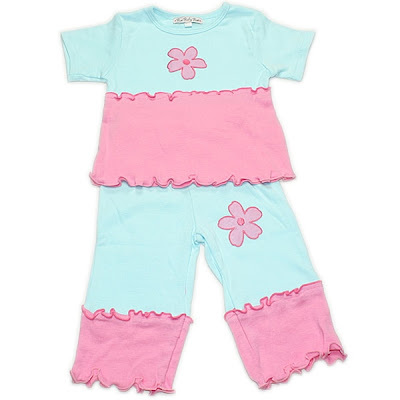 They have full line of trendy clothing and accessories for babies to toddlers to young boys and girls. I like their styles because they are not common and very fashionable. You can visit their store online at atterdagkids.com. 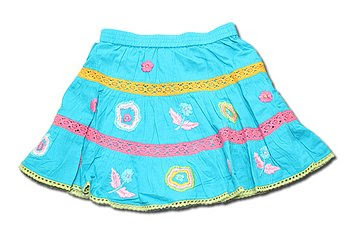 Here are my picks ; a skirt for my daughter and a birthday gift for her friend. Tomorrow, April 4th, Eat Bulaga Live will be at the Boardwalk Hall Arena in Atlantic City, NJ. This is part of their 30th Anniversary celebration with Tito, Vic and Joey plus the Dabarkads and guests Ruffa Mae Quinto, Richard Gutierrez and Rhian Ramos. The show starts at 7pm and tickets are at $35, $55, $75 and $90.